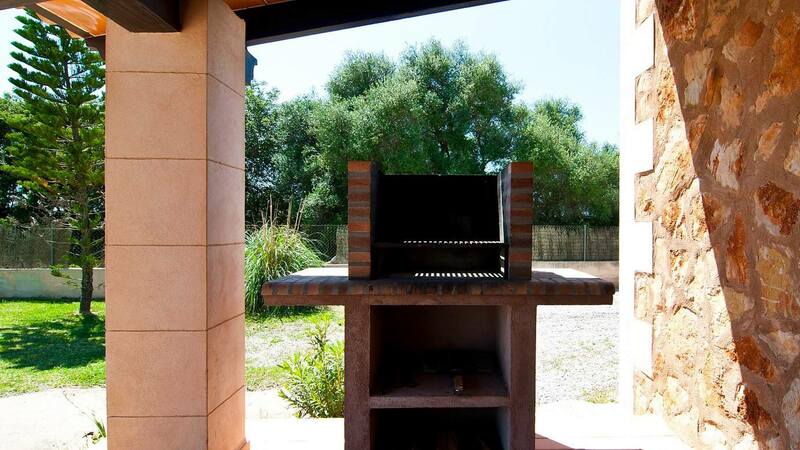 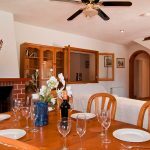 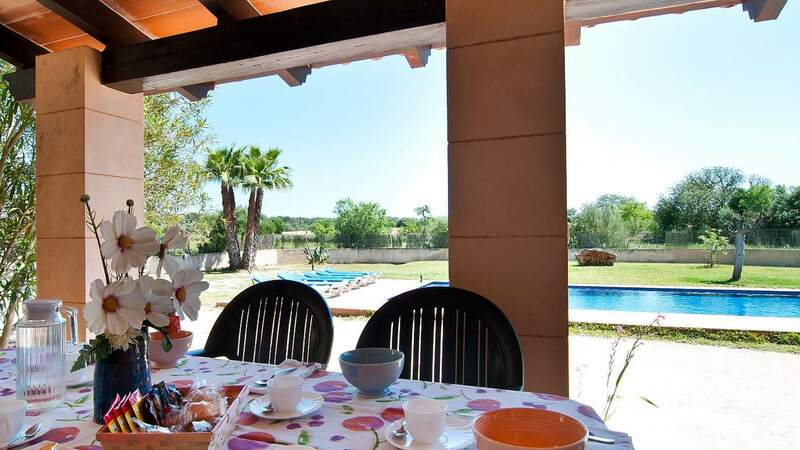 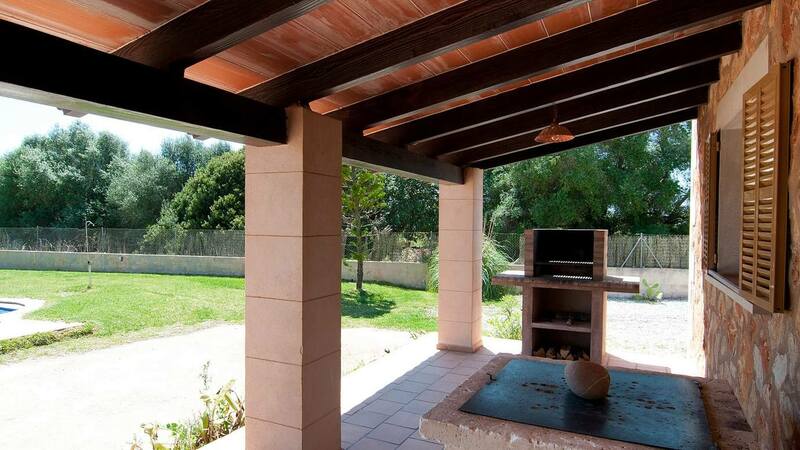 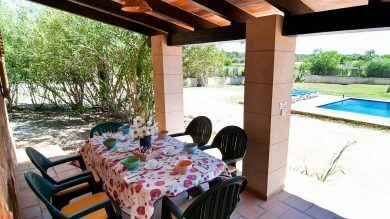 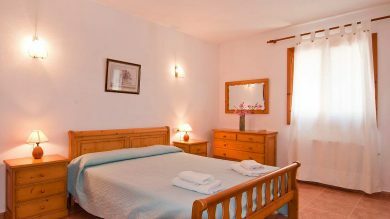 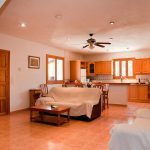 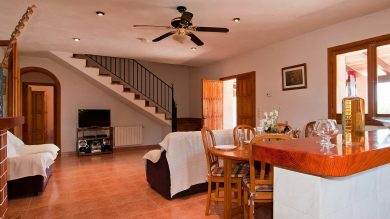 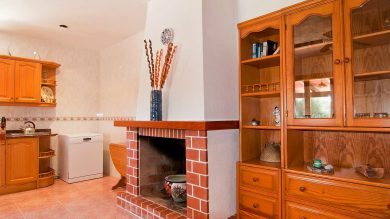 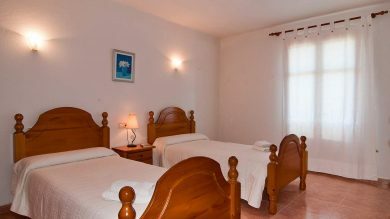 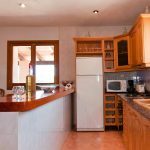 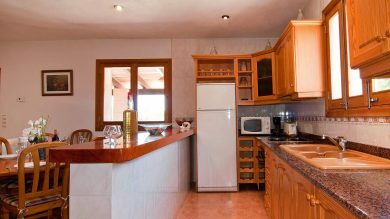 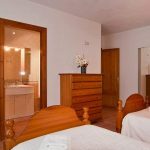 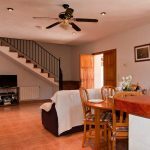 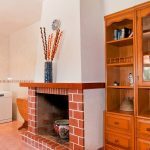 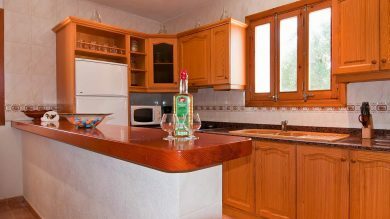 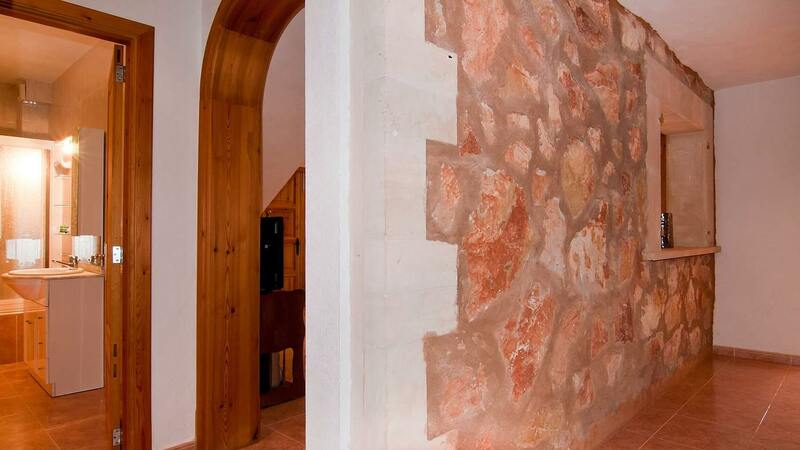 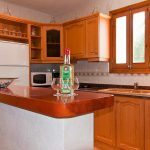 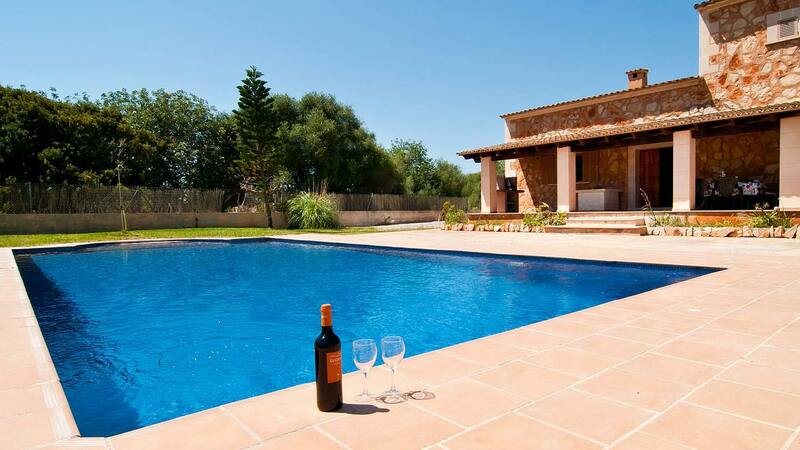 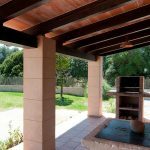 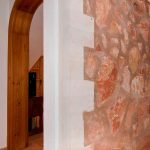 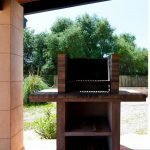 Rustic finca constructed in a typical Majorcan style and situated only 5 minutes in car at the town of Campos in the south of Mallorca. The house covered of stones is distributed in two floors at the following form : At the ground floor: living room with an American kitchen with chimney and American bar,2bedrooms, from witch ones are 1double bedroom and has a double bed with bathroom in suite and the other is an individual room with two separate beds. 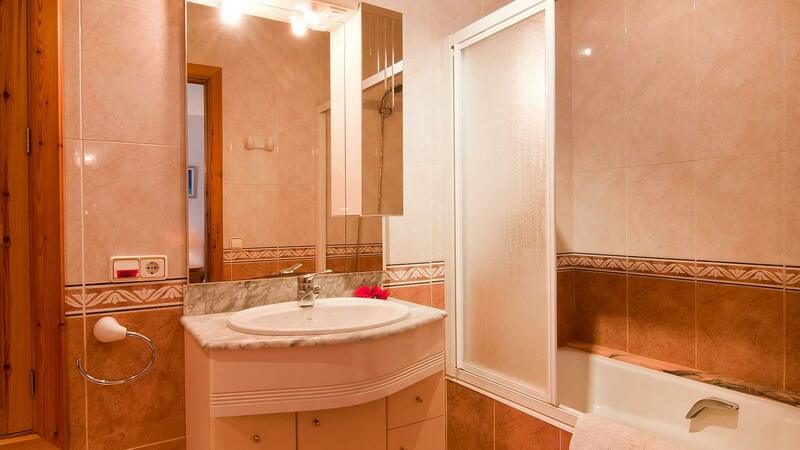 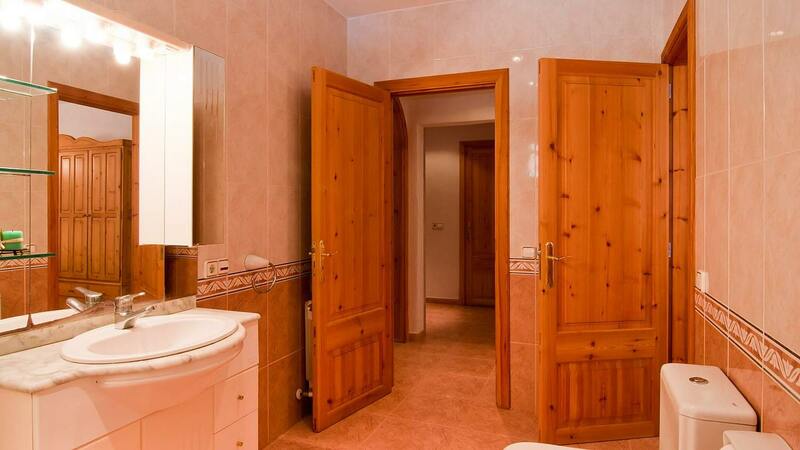 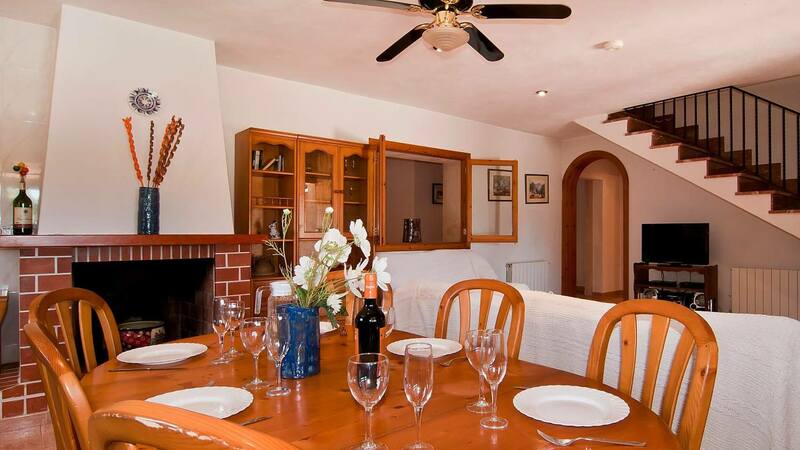 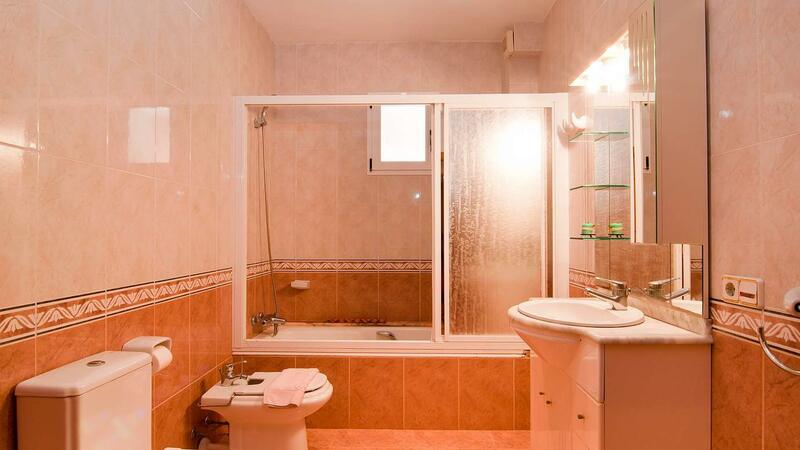 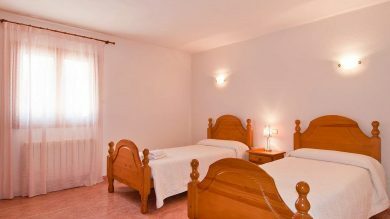 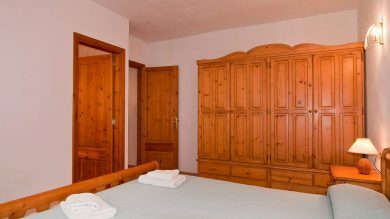 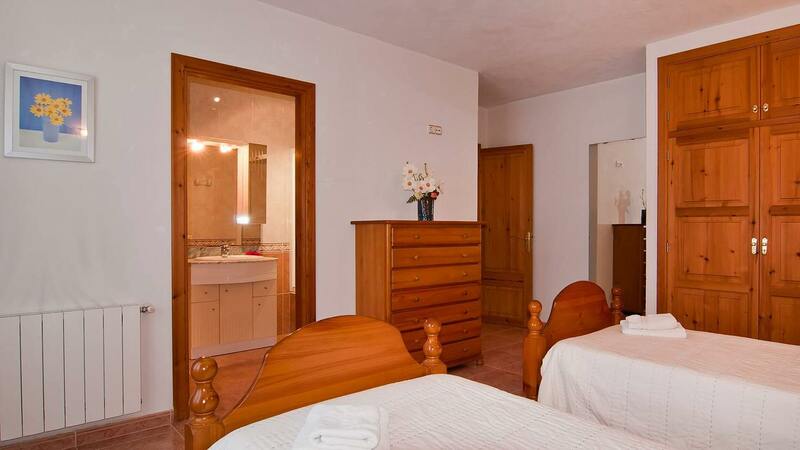 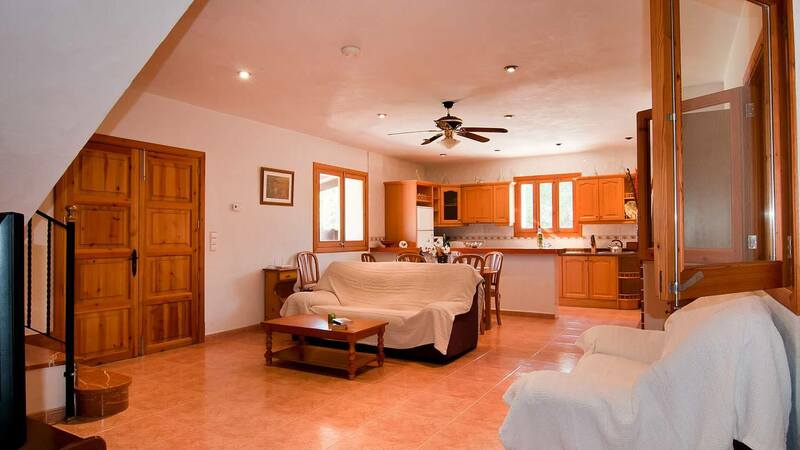 At the top floor there\'s a double bedroom with two separate bed and with bathroom in suite. 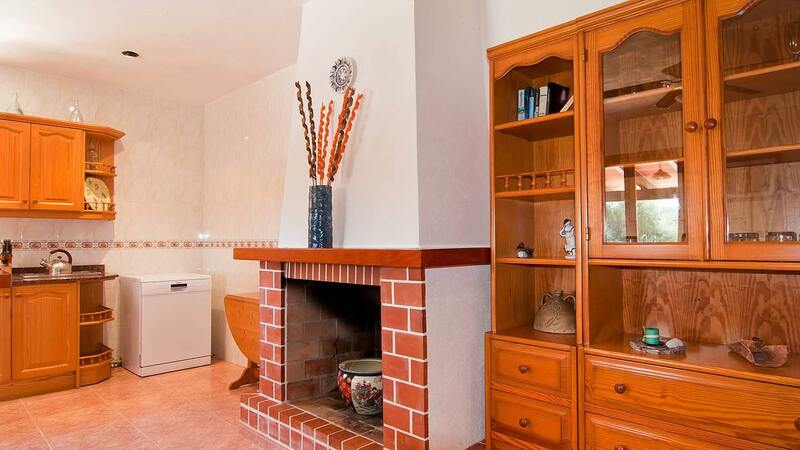 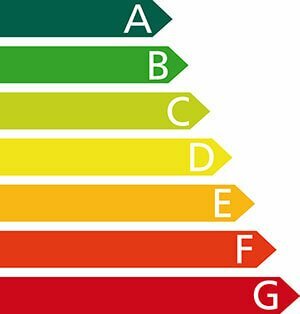 Equipped with heating, SAT TV, Internet. 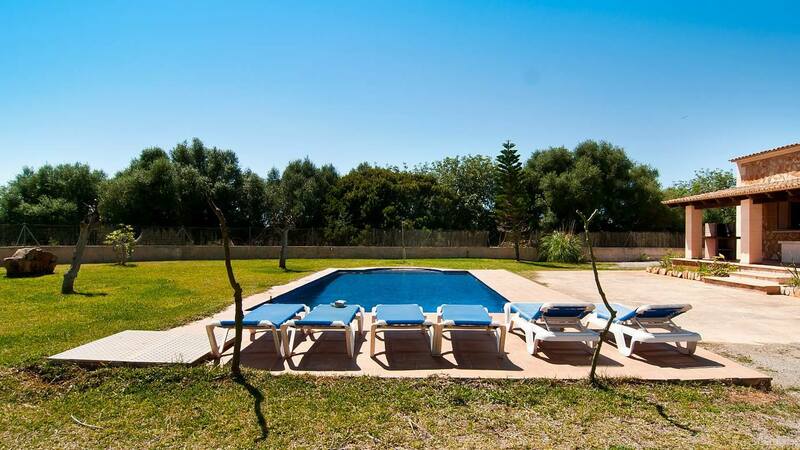 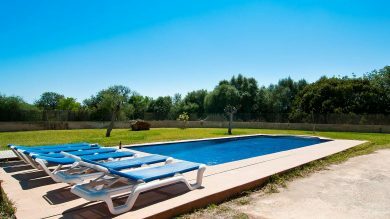 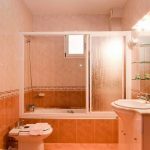 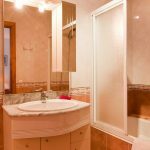 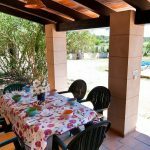 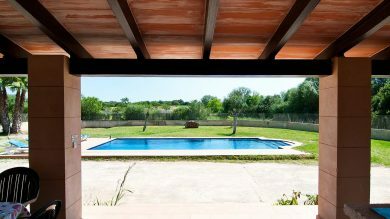 Swimming pool 10x5 m. Situated in a very quiet zone with clear views, it has an easy access and is very close (only 17km )to the famous and fabulous beaches of \"Es Trenc\", \"Ses Covetes\", \"Sa Ràpita\" y \"Sa Colonia\".